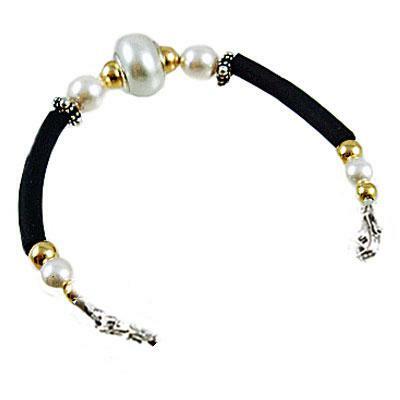 Creative Medical ID Alert Bracelets and stylish jewelry custom engraved for men, women, children - Trendy black tubing, white pearl medic alert strand-no tag. Creative Medical ID Beaded Strands: All beaded�Creative Medical ID strand come with a�90-day guarantee,�and orders arrive at your door with a Free Medical Emergency Wallet Card and complimentary�Organza Jewelry pouch. Thanks for shopping with us.